You know when you throw a bunch of chain necklaces in a drawer or a purse pocket and they get all tangled up? My brain feels like those necklaces on most days. Between the kids, the house and the business, I'm always going every which way and struggle to concentrate on one thing. I wish my brain looked more like this photo, a clean white canvas with beautiful gemstones. Oh well, you have to work with whatcha got! 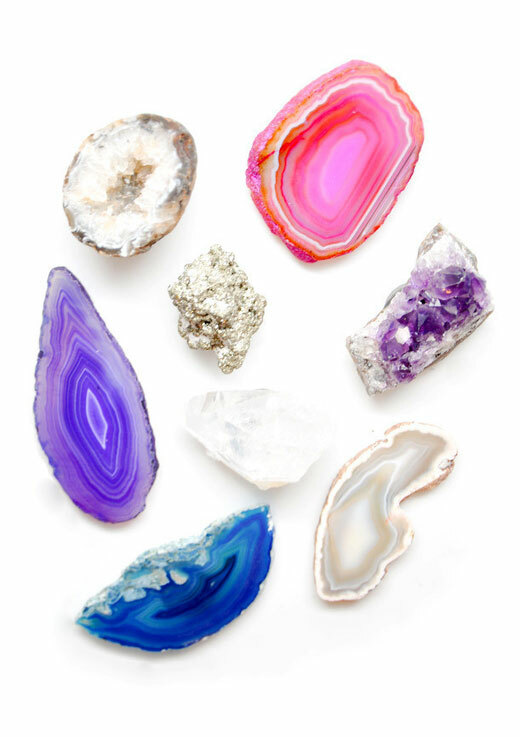 I bet your brain really does look like these colorful gemstones and you just don't know it! You've got a lot going on in that brain of yours! Good stuff.